There many fabulous places in Indonesia other than Bali and Nusa Lembongan is all sorts of fabulous. d’Nusa Beach Club & Resort is one of the most luxurious resorts on this tiny island. 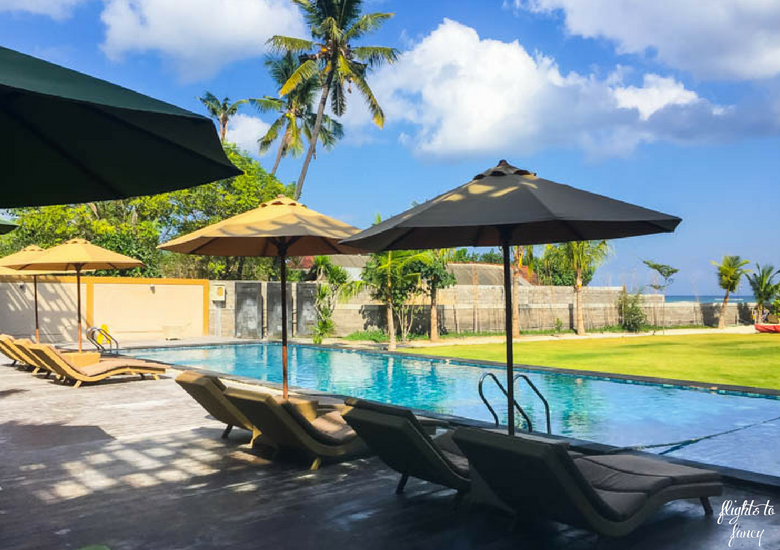 d’Nusa Lembongan occupies a prime position right on the beach and is in easy reach of everything that matters. The beach is quite tidal and low tide is a great time to play in the shallows. 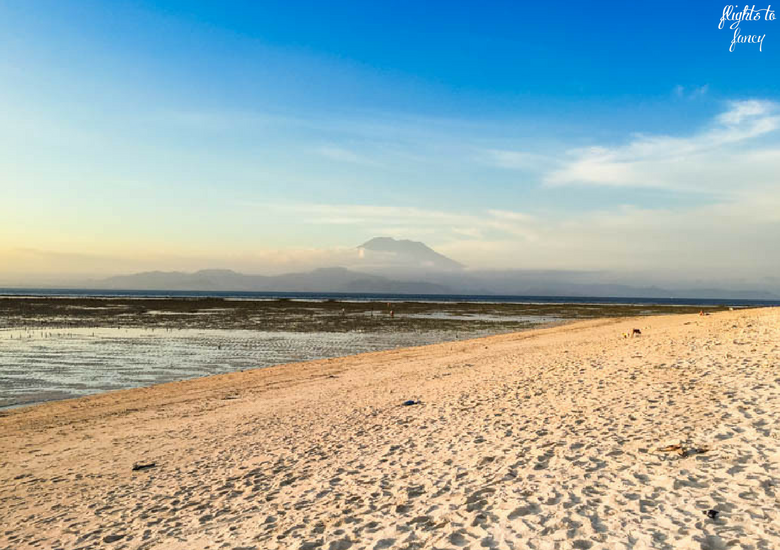 On a clear day, Bali’s Mt Agung can be seen in the distance and sunsets are fabulous! 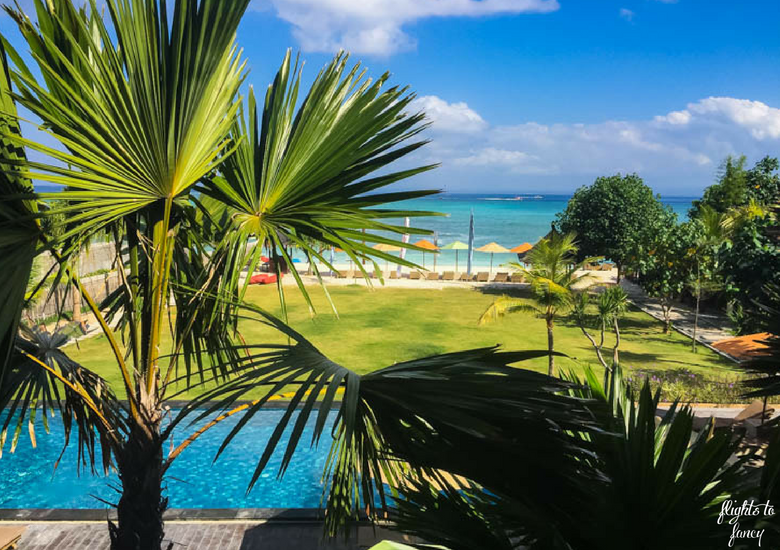 We were told that this Lembongan Island resort is used as a base for day trippers from Bali between 10am and 4pm. I can see why this might annoy some guests, but I didn’t see a single day tripper as we were always either out or enjoying the tranquility of our fabulous lagoon suite room during that time. 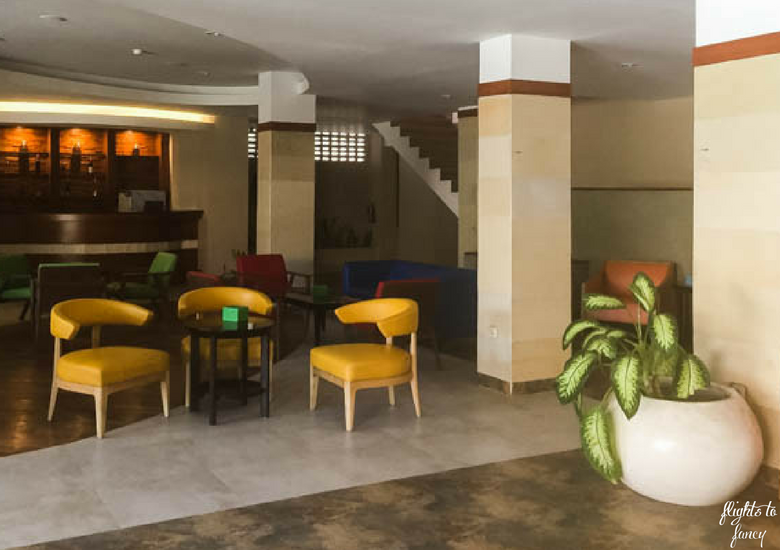 The reception area at d’Nusa Lembongan is light, bright, welcoming and the smiling faces behind the desk are a treat. There was a rather annoying soundtrack to our stay. It sounded a bit like a wooden xylophone and it played on loop in the lobby from early morning until late at night. Unfortunately our room backed onto the lobby so we could hear it every time we stepped outside and when the ambient noise in our room dropped below a dull roar. Ask for a room a little further away so you don’t suffer the same fate. The grounds of d’Nusa Resort are lush with greenery and a pleasure to walk through. d’Nusa is currently expanding and the resort is set to be even more fabulous in the near future. Guests are spoiled for choice between the five room types d’Nusa Beach Club & Resort offers. The superior rooms start at just IDR1.4m per night and those looking for the ultimate in luxury can choose a private pool villa. Our lagoon suite room was absolutely perfect and one of the most spacious hotel rooms I have ever had the pleasure of staying in. The inviting king bed dominated the space and the muted neutrals created a feeling of tranquility. The Hubs took his pick from the four pillows as usual while I got what was left. We like to sleep in and the blinds completely blocked out those pesky early morning rays so we could linger a little longer in the huge bed. The comfortable lounge chairs are positioned for optimum TV viewing and a feature so often lacking in hotel rooms. The included cable TV kept us amused before bedtime. The natural floor mat was a little hard on bare feet but that was fixed by simply giving it a wide berth. 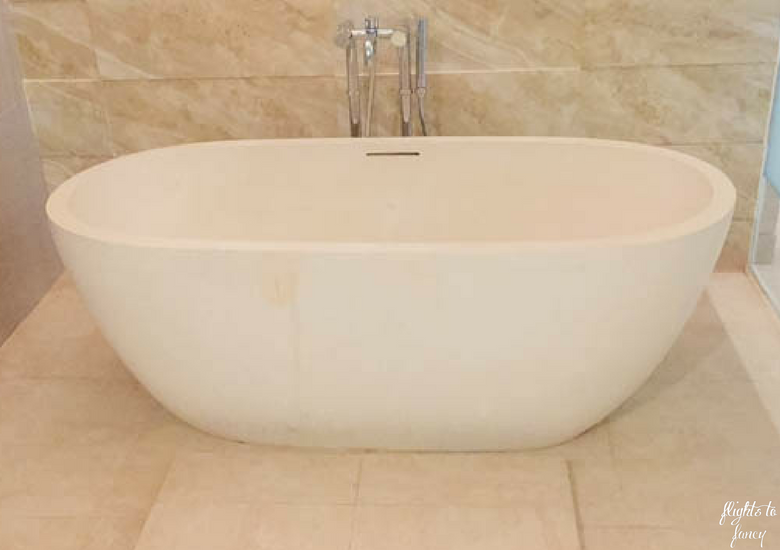 The luxury bathroom was incredible and the focal point was an egg-shaped tub big enough for two. Of course a wonderful selection of toiletries were provided and The Hubs is always just a little bit thrilled when he gets a toothbrush thrown in. I truly believe little things make a big impact. 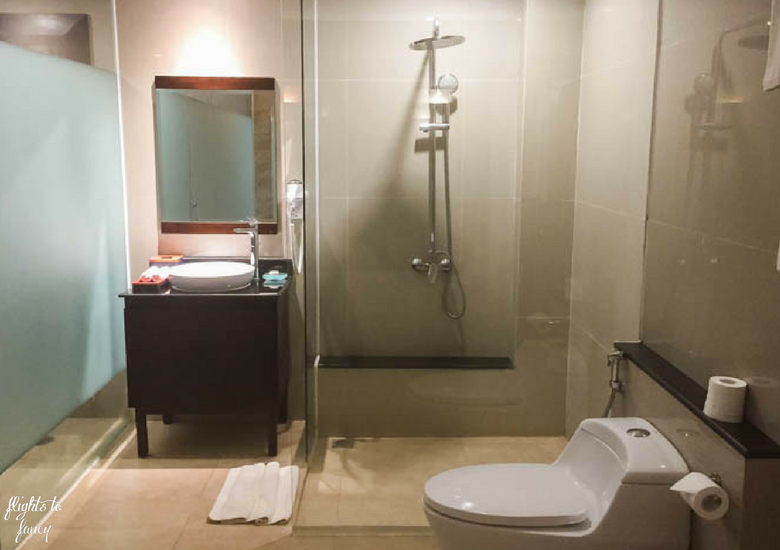 The auto air fresher d’Nusa Lembongan provided kept our room smelling fresh all day long, drinking water was replenished daily, the complimentary welcome fruit platter was delicious and the fresh orchids were a lovely touch. As expected there is a slight mark up on the mini bar with the cokes costing IDR16,000, but the Bitangs were an absolute bargain (for Lembongan) at just IDR25,000. 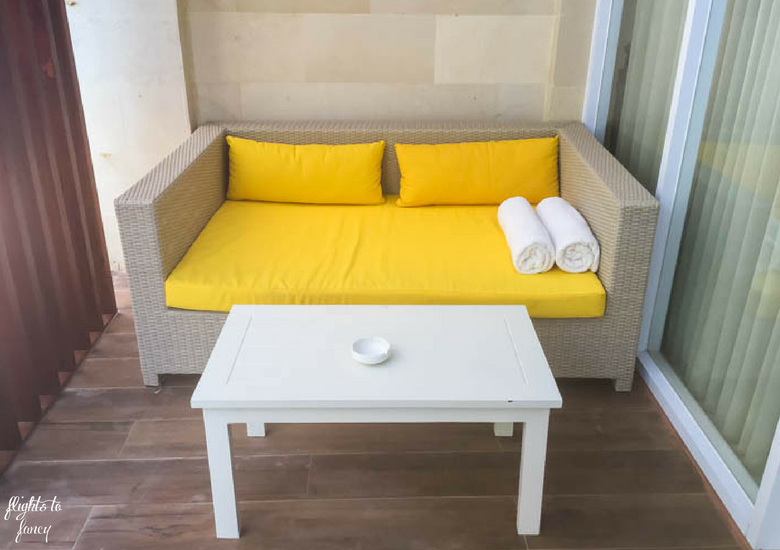 One of my favourite features of our lagoon suite was the sunny yellow day bed on the spacious deck. I spent many an hour just relaxing in the warmth with a chilled glass of Cloudy Bay from my duty-free allowance. Bliss! The jewel in the crown was the incredibly blue semi private pool directly off our deck. There is something very decadent about measuring the distance from your bed to the water’s edge in steps not metres. 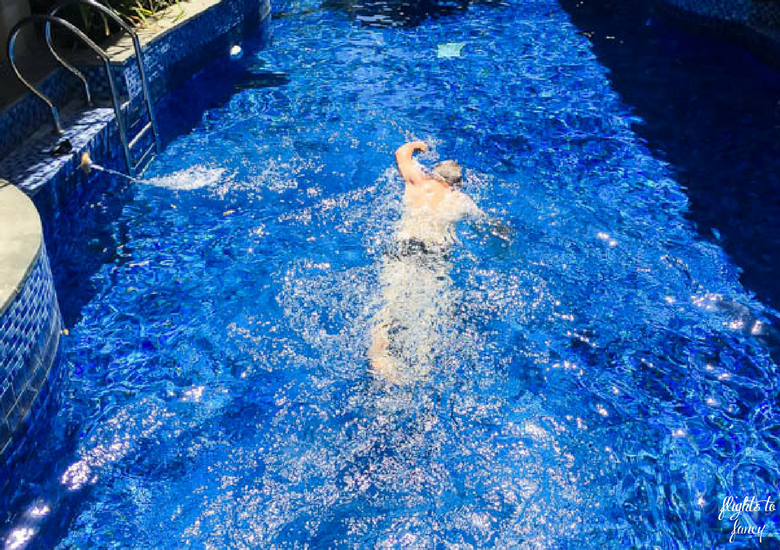 I was originally disappointed as the pool felt chilly, but after taking the plunge it was lovely in. 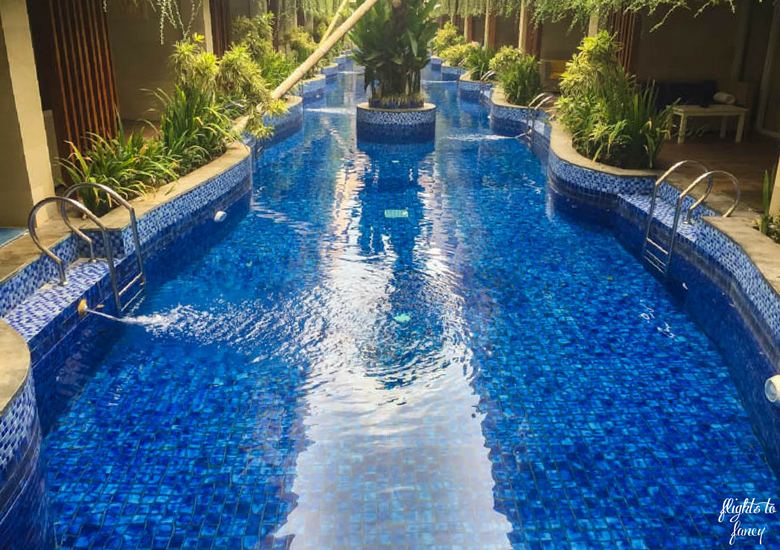 The exclusive pool can only be accessed by 14 rooms and we only saw one other guest take a dip so we had it virtually all to ourselves. The housekeeping at d’Nusa Beach Club & Resort was exceptionally efficient. We switched on the ‘please make up my room’ sign before we went to breakfast and despite being gone for less than an hour our room was pristine when we returned. The only disappointment was that they didn’t replace the glasses once during our three day stay. 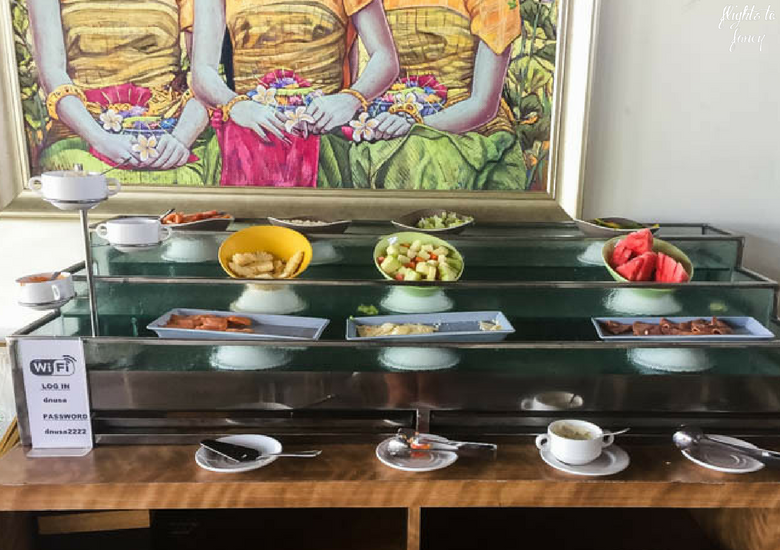 Breakfast at d’Nusa Lembongan runs from 6am – 10am. 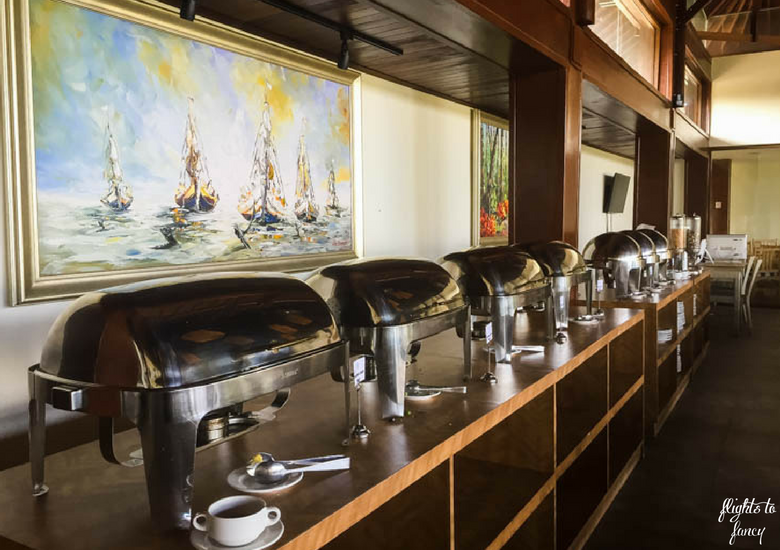 The buffet consists of standard fare with a mix of western and Asian dishes. We dined at 9am on the first morning and everything was just a bit cold. The vegetable nuggets were the hit of my morning and I am not ashamed to admit I went back for a second taste of these delicious little morsels. 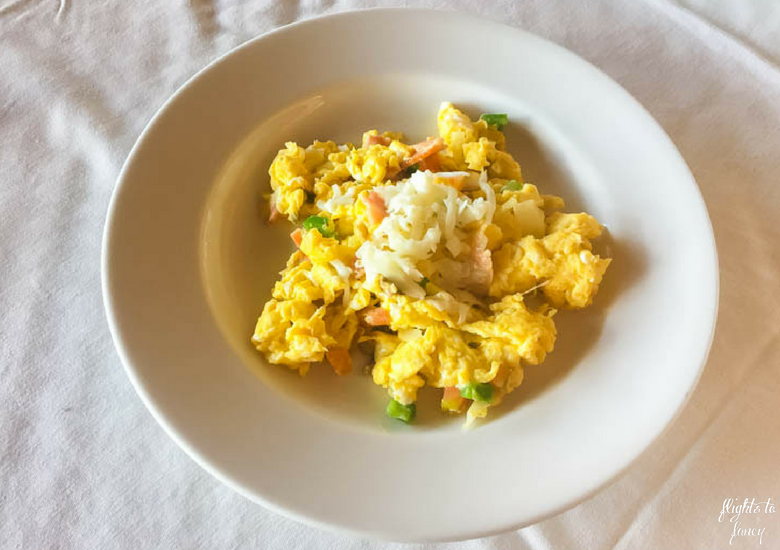 The Hubs loved his cooked-to-order, piping-hot scrambled eggs from the egg station after he added mushrooms, capsicum, onions and ham. Why oh why have I developed an intolerance to eggs????? 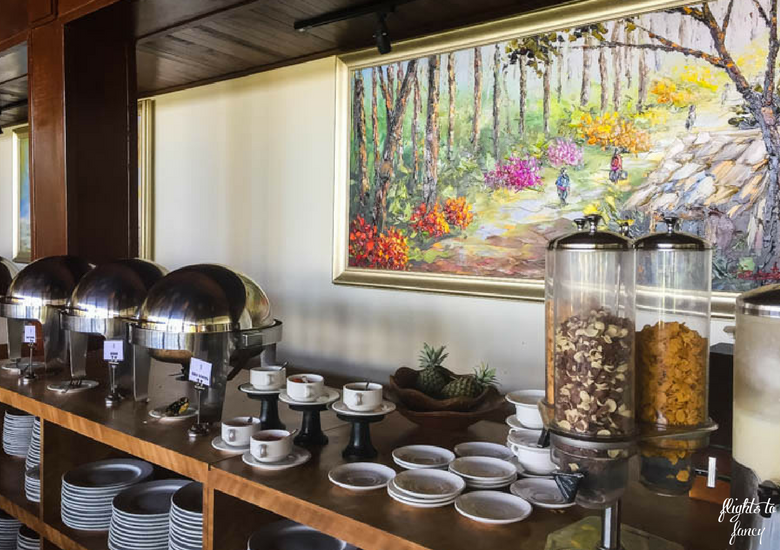 Health conscious individuals are well catered for with a selection of cereals, salads and fresh fruit. 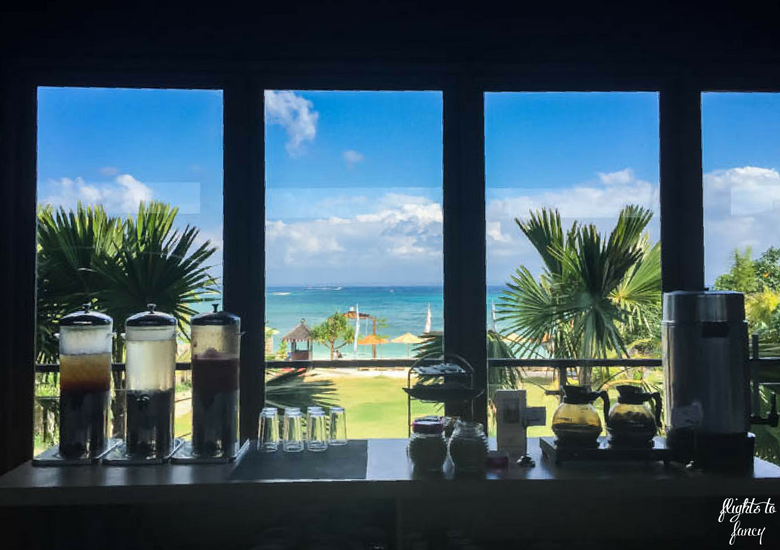 Diners have a choice of being seated inside or out and the ocean views from the floor to ceiling windows are hard to beat. Sometimes you just can’t be bothered to venture too far for sustenance and on our last night we decided to dine in-house. The room service menu is compact and very reasonably priced which is unusual for high-end hotels. 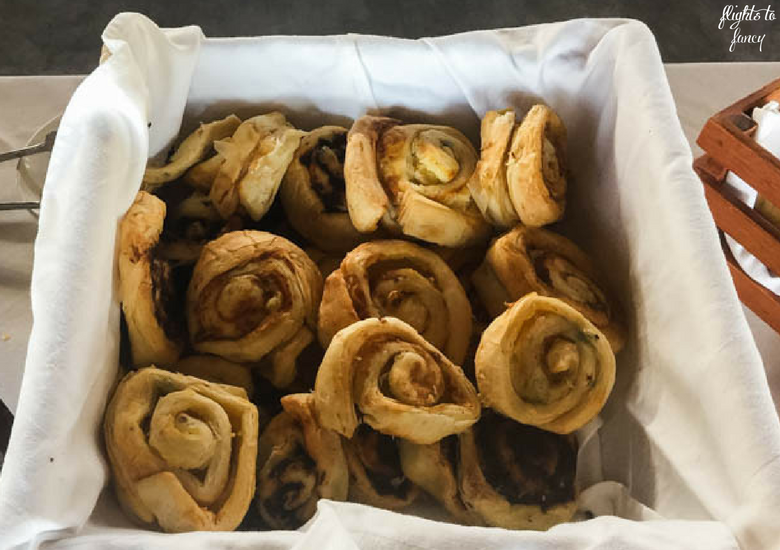 The onsite restaurant menu is slightly cheaper and offers far greater variety. We left our run pretty late and it was after 9pm when we arrived at the almost empty dining room but the lovely staff accommodated us anyway. There are three seating areas and we chose to dine alfresco on the upper deck. We placed our order promptly and waited not so patiently for our drinks, garlic bread and burgers to arrive. Strangely they had run out of Coke but that’s fine, I didn’t really need the sugar anyway. The sound of waves pounding the shore made the perfect soundtrack on the balmy evening. 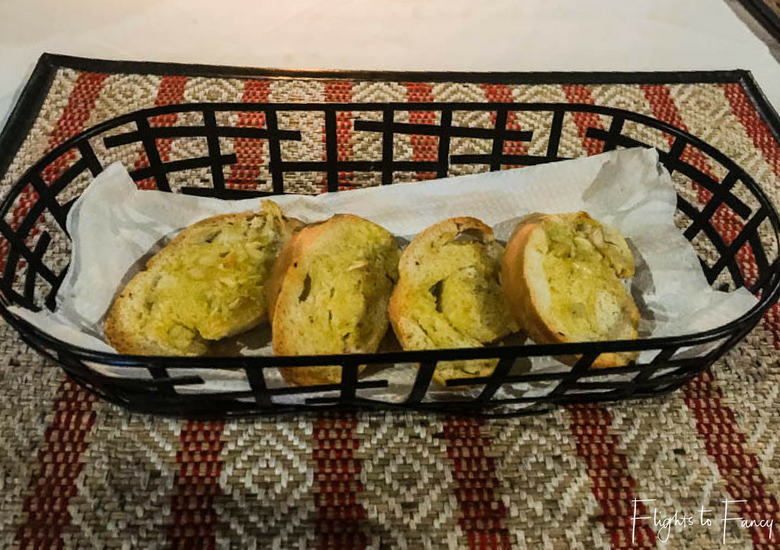 The garlic bread arrived in record time and had a nice garlic hit but because the slices were quite small, the bread was too crunchy. A little extra butter would have really improved the dish. 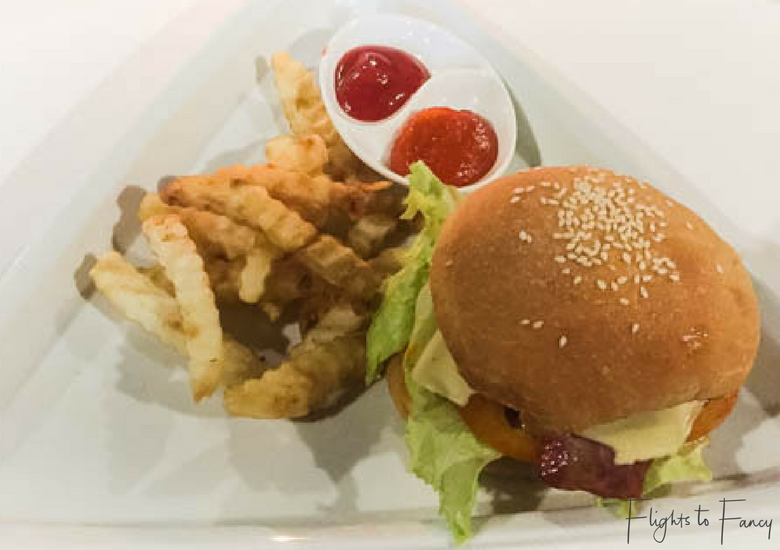 Our beef burgers (IDR73k) were perfectly cooked, laden with fresh salad and the bacon was a great addition. The serve of accompanying fries was small but sufficient. Sometimes simple food cooked well is exactly what you need and d’Nusa Lembongan delivered. d’Nusa resort offers a range of facilities. We hired a scooter at a cost of IDR10k per day including fuel. I have no doubt we could have haggled one of the multitude of roadside touts down to half the price but it would not have included petrol and the prospect of saving $5 a day didn’t compare to the convenience. We used almost a full tank exploring Lembongan and Ceningan so we definitely got our money’s worth! The bikes cannot be room charged so have your cash ready. The resort spa was not in operation when we visited but Kemilau Spa is just up the road and looked amazing. The poolside bar serves all your favourites so grab a lounge chair on the sand and take advantage of happy hour 2 4 1 cocktails for sunset drinks. The beach swings are very popular with guests trying to snap that perfect insta worthy pic to make the folks at home jealous. Nusa Lembongan is tiny, but it is still not practical to walk everywhere. 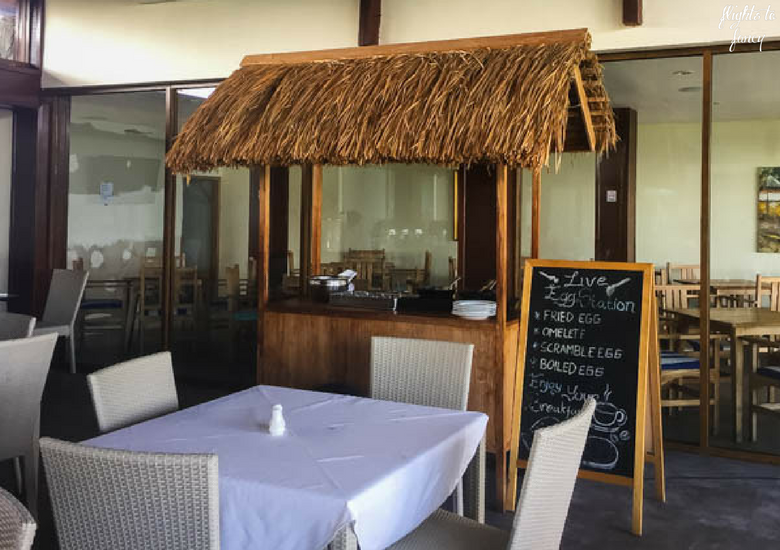 Luckily d’Nusa Resort has a number of restaurants that you can reach on foot. 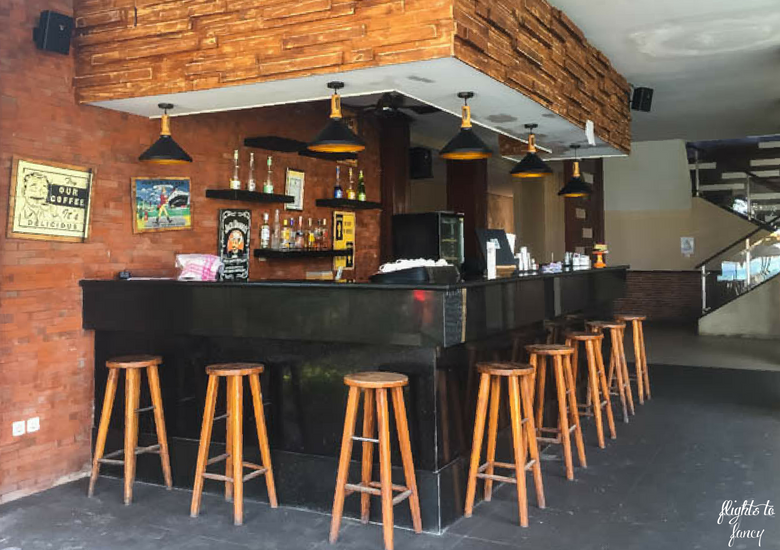 Try The Sampan directly across the road for convenience, Lemongrass for upmarket fare or Nyoman’s Warung for cheap eats right on the sand. A little further afield Warung Putu serves up traditional Indonesian cuisine at rock bottom prices, the Sandy Bay Beach Club offers a relaxed environment and The Deck serves up amazing cocktails. It would be almost a crime to head to Nusa Lembongan without doing a mangrove cruise and make sure you explore all the pristine beaches. Zip over the yellow bridge to Nusa Ceningan for a change of pace and don’t miss the views of the Blue Lagoon while you are there. We thoroughly enjoyed our stay at d’Nusa Beach Club & Resort. The room was brilliant, the pool divine, the location sensational, the staff ever smiling and the sunsets were breathtaking. 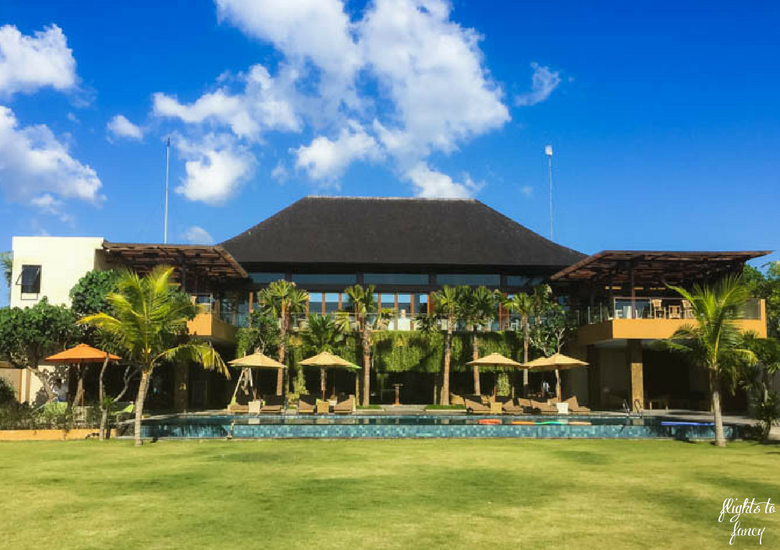 If you are looking for a luxury Lembongan Island resort that won’t break the bank you should absolutely check out d’Nusa. What’s your favourite thing about staying in a luxury resort? I would love to hear your thoughts in the comments below. Disclaimer: We stayed at d’Nusa Beach Club & Resort as guests. As always, all opinions are my own. 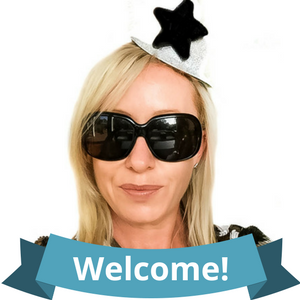 This post contains some affiliate links which will earn me a few cents to contribute to the running of this site if you make a qualifying purchase at no extra cost to you. I’ve been to Nusa Lembongan many times over the past 10 years but never been inside the D’Nusa. It looks like a lovely place to stay and a great pool and beachfront location. I will have to pop in text time I go! Thank you for the tip! It looks absolutely beautiful…. ???? I’ve heard of D’Nusa and heard it was a spectacular place to be. 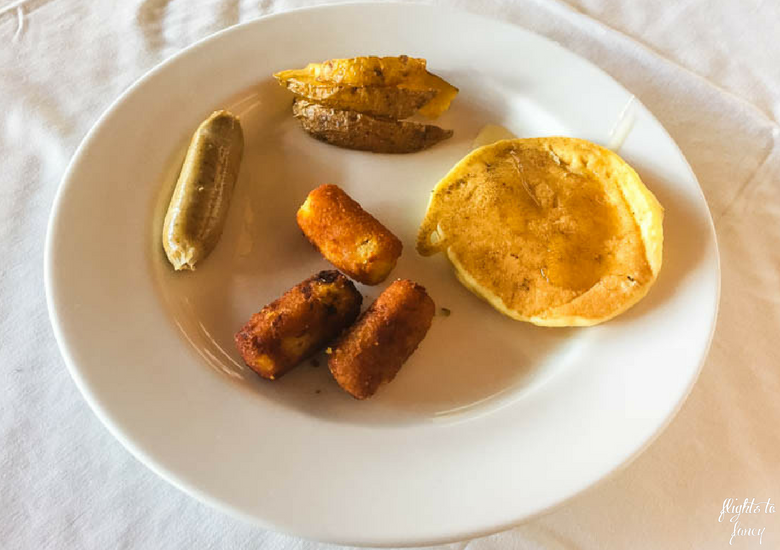 I love how the resort offers a variety of western food and breakfast. For me, breakfast is the most important meal of the day and I can’t function without it. The pool views along with the ocean make it a little slice of paradise! I’m not a big breakfast water myself but I do love a hotel buffet. The location was perfect! We couldn’t have asked for better. This is something I love about bali. You find places like this and it’s amazing, that pool is just spectacular. We really did Karla. 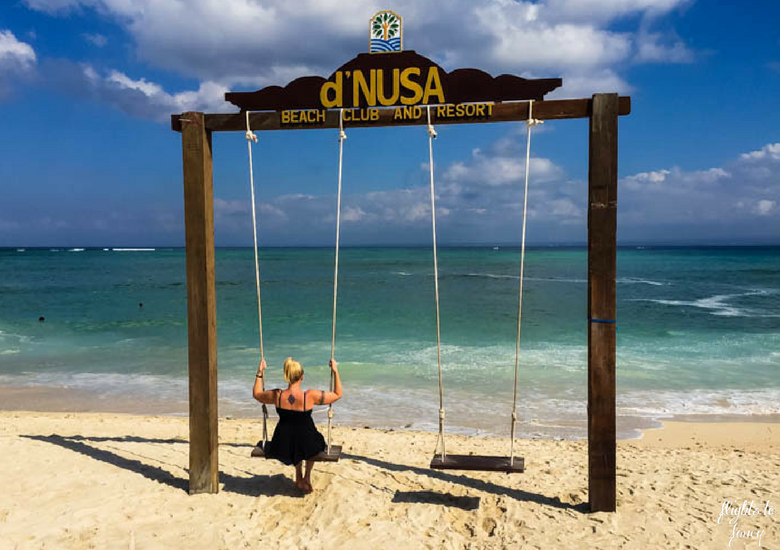 Everyone needs three days at d’Nusa in their life. Absolutely stunning! that pool looks like heaven! What a lovely place to have a holiday! It sure was Chiera! If only we could have stayed a little longer! Do it Jen! You won’t regret it! I only wish I had discovered Lembongan earlier! This is a very good idea for a staycation in Indonesia. The pool looks amazing, not as inviting as the beach though! This resort looks incredible, the views from the restaurant are just breathtaking! I like the fact that it is a bit away from Bali, probably much better if you want to to spend a relaxed time away from the crowds! Wow, this place looks stunning! Definitely what I want for an R&R! Everything looks perfect. That pool looks likes it’s begging to be jumped into. I think my arm could be twisted to stay here. Some great views of the beach from the terrace must be wonderful having a drink as the sun goes down. Great post. I’m loving the food photos. I’m ready to head there now. It seems like a very luxurious but intimate resort. I’m all about places like this where staff are genuinely friendly.. You develop a better relationship with staff who tend to look out for you and make you feel comfortable during your stay. Definitely Kellyn. 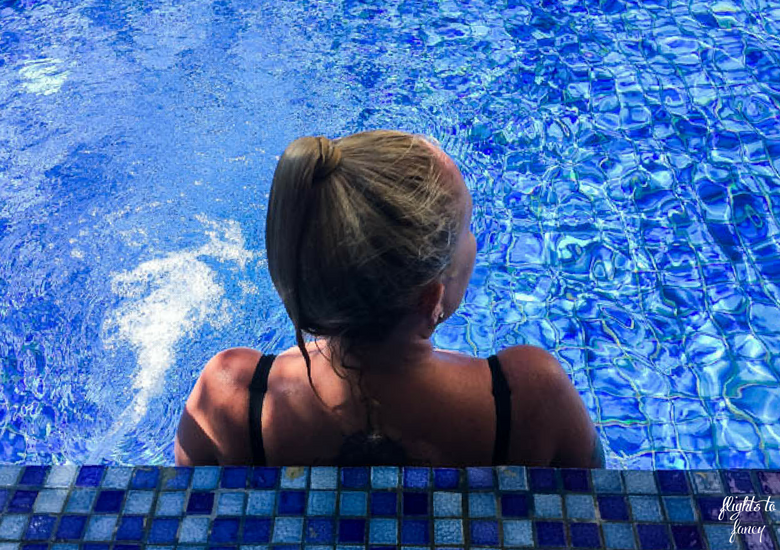 I would love to try the private pool villas next time! I visited Bali about 25 years ago, and even then tourists who’d been there before were saying it was too touristy compared to the ‘old’ Bali. Their tip was to go to Lombok, but I’m sure that’s probably gone the same way since then. Lembongan sounds like a good alternative with the added bonus of being so close – and hanging out at that amazing pool makes the D’Nusa Beach Club and Resort a very attractive option – even though I don’t spend a lot of of time at my accommodation when I’m travelling, it’s nice to have a comfortable base! I first went to Bali in 1988 at 17! A lifetime ago and yes it has changed a lot. We loved d’Nusa and Lembongan Island. So it looks like the pool is right outside your door? I’m not sure I’d be so keen on that because you could never leave your curtains open and have privacy. From the looks of it, you can swim right by the rooms and see inside. Are there any beach front rooms? Looks simply luxurious. Love that wrap-around pool! The pool was perfect Carolina! Hope you make it there soon David! 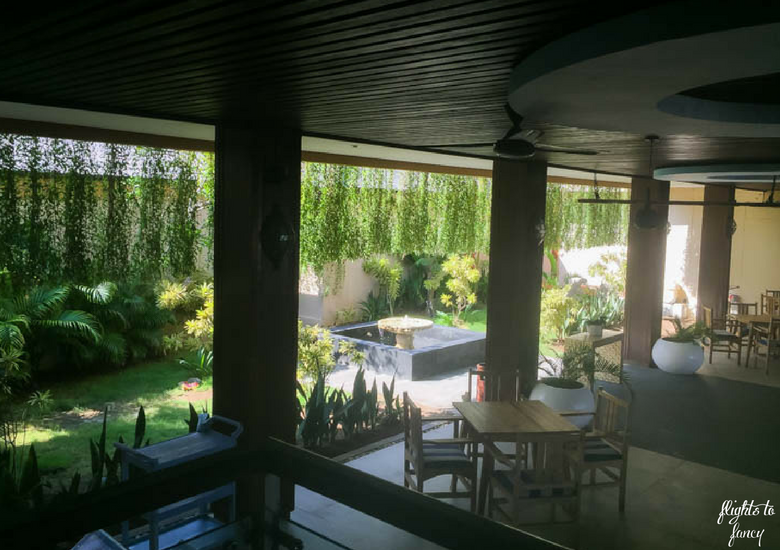 I am so happy you shared a less touristy place and an awesome resort near Bali, Allison! I would love to stay at that resort soon! How many days would you recommend staying there? We stayed for three days Agness but could have easily stayed a couple more. I had no idea this island is just 30 minutes away from Bali! I’m definitely heading there next time we are in Bali. The resort looks like a great place to sit back and relax.. It sure was! I’m a regular Bali visitor but it took until my 7th trip to make it to Lembongan. I’d love to head back one day ? If I was based in Singapore rather than Hong Kong, I would probably travel to Indonesia every other weekend. 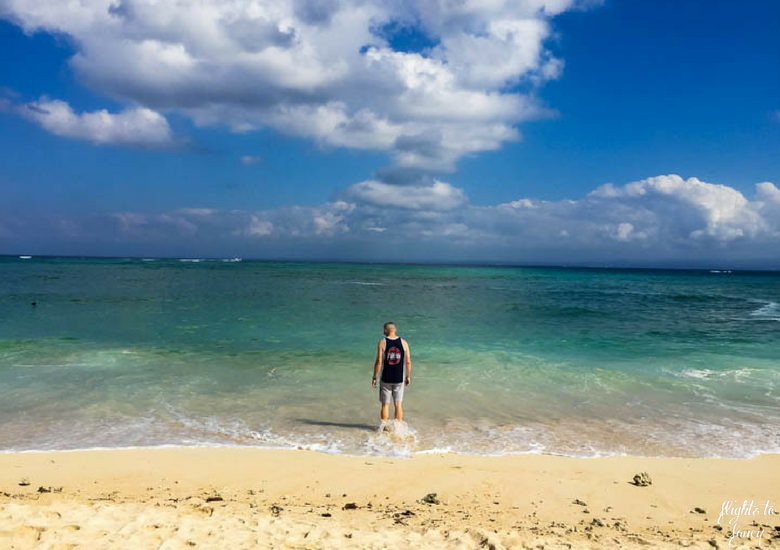 Affordable dream beaches – what can be better than that? Oh yes, your pictures have told me: A giant sunset view swing directly on the beach! AMAZING!!! It’s a five hour flight for us so absolutely doable for a long weekend but I don’t know about every second one lol. d’Nusa was perfect for us Neha. 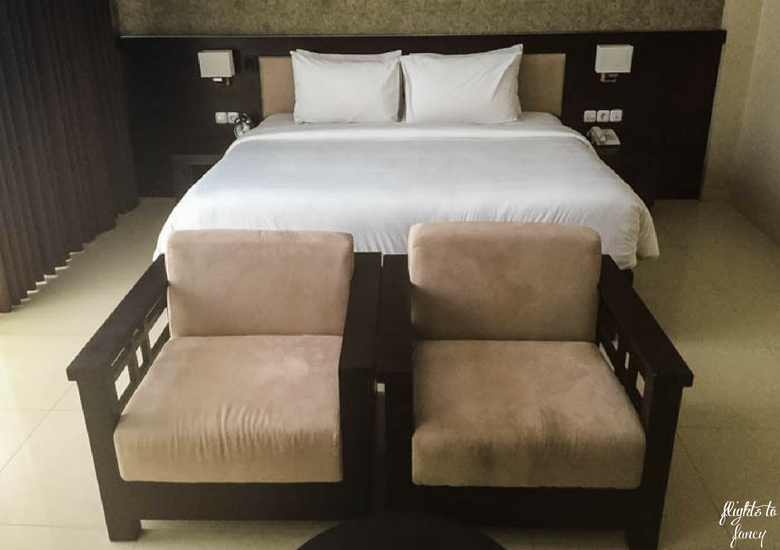 We were blown away by our room and felt very spoiled while we were there ? I hadn’t heard of Nusa Lembongan before, though have been trying to find ideas for islands to visit in Indonesia from Bali. 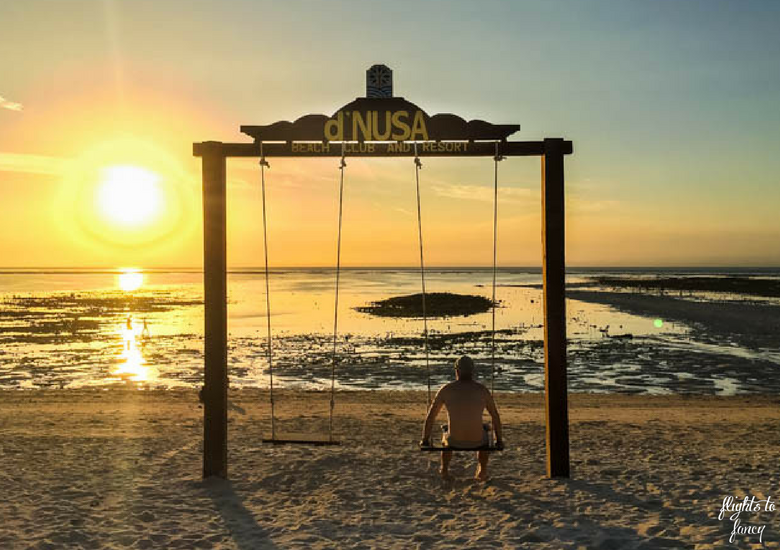 d’Nusa Beach Club & Resort sounds like an amazing place to stay – interesting that they get a lot of day trippers from Bali visiting, though you’ve convinced me that it’s worthwhile to actually stay. The grounds are stunning and a private pool villa sounds incredible, though I would be totally happy with a Lagoon Suite – it’s stunning too. Sounds like amazing service – they were so quick to clean your room! Food, location, luxury, beach – it’s the perfect combination. Thanks for sharing your review. It’s so close that a day trip is possible but I highly recommend spending a few nights if you can. You should also check out the Gili Islands which can be reached from Lembongan also. I see some island hopping in your future! Such a great and sincere review! How many days would you recommend staying in this resort, Allison? We stayed for three Agness and I could have easily stayed longer. I think four or five days would be perfect but when time is short you have to take what you can get! Seems like an absolutely beautiful place to stay! I live in a rural area nowhere near the ocean. All the rivers and lakes around me are almost always muddy and murky. When I visited Hawaii a few months ago, I was amazed by how absolutely beautiful and crystal clear the water was, and I’ve been dying to experience that again. Nusa Lembongan sounds like a great place to do that! The water surrounding Lembongan is spectacular Kiyoko, better than Hawaii in my opinion. I highly suggest a visit. We are regular visitors to Indonesia Bhusha and we head to the Philippines for the first time in two weeks. can’t wait! I am going to Bali in two month and I really wish I have more time there so I could travel to places like Nusa Lembongan! That resort looks amazing! I love that pool! And having breakfast with view like that is just a dream! Or watching sunset on that swing! So jealous ! I hope you love Bali Ada! Such a shame you won’t be able to make it to Nusa Lembongan. Nice, very nice!! The swimming pool is just amazing and it really invite you having relax and stop thinking! you made a good choice and thanks for sharing!! The swimming pop was great Rocio. Even more so that we always had it to ourselves ? When we talk about beaches in Indonesia, we often think about Bali. 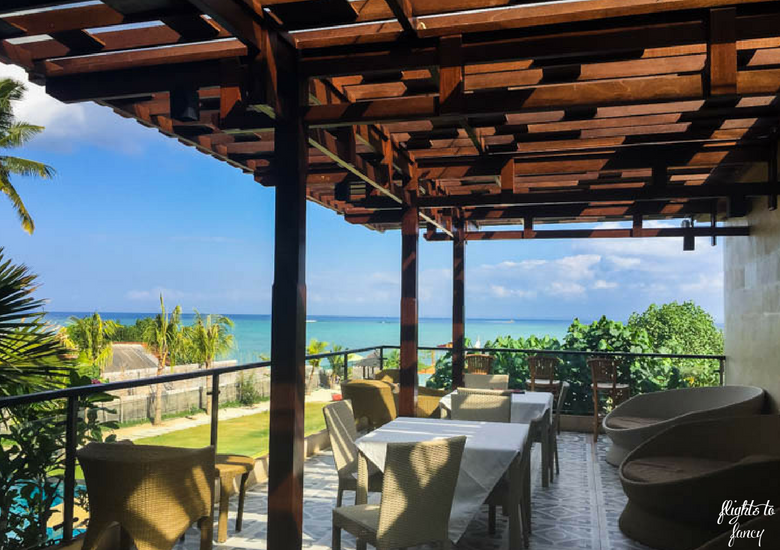 Thanks for sharing about this d’Nusa Beach Club Resort. Now you have the option to stay in a less crowded place that is near to Bali beach. So true Kevin. There is so much to Indonesia beyond Bai and I am only just staring to explore. I have so much more to see! The lagoon pool at the d’Nusa Beach Club looks so inviting and idyllic – what a pleasure having it just steps away from your room! And I love how you can hang out on the swings and watch the sunset. I have been to Bali twice before but never made it over to Nusa Lembongan. It looks like a perfect peaceful retreat! It sure was Nick! Having it right next to my room was the icing on the cake! looks really nice. I regret very much that we never made it to Nusa Lembongan – I lived in Bali for nearly 2 years. The thing when you live somewhere you don’t really take the time to discover as much as when on holidays (at least I don’t!). The hotel looks nice and I love the views, of course. My uncle has lived in many parts of Indonesia & Bali for the last decade or so, and I’ve always somehow seen Asia through his eyes – but, this post shows such a gorgeous alternative. I think I’d love, love, love Nusa Lembongan, seems to me it’s got all the boxes ticked for my type of holiday too. Such a beautiful country. I have so much more left to see! The view of the beach is spectacular! 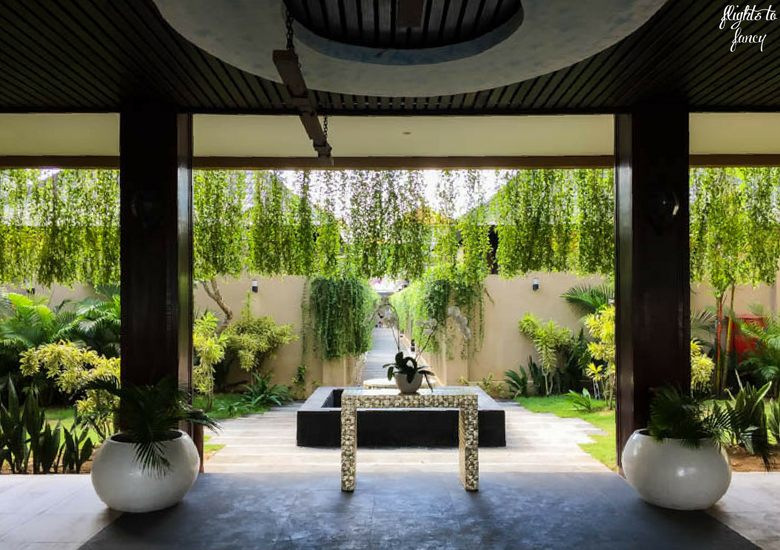 Plus, the interior aesthetics is so relaxing – it truly is a paradise in Bali! 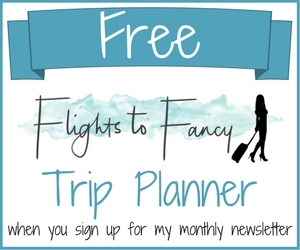 I haven’t been to Bali but all of your posts make me want to consider it on my next trip! Sure was Abigail! Everything was spectacular! I wish I could have stayed longer! I think I would prefer to stay in Nusa Lembongan where things are more peaceful than Bali. The d’Nusa Beach Club & Resort sounds and looks perfect. If you think about the music from reception does it start playing over and over in your head? Whilst enjoying the pool the mini bar must seem tempting, 16k for a cold coke sounds like a very good deal! Those swings are very Instagrammable, especially at sunset! We had a great stay James. Highly recommend it! Dnusa Beach club resort looks like an exotic resort with all great facilities. It is perfect place for relaxing in nature and be away from busy life. The view of pool with sea is really incredible. Watching sunset on the swings over the waves must be so romantic. Exactly Yukti! We did a lot of relaxing! ??? My favourite thing about luxury/boutique resorts is the personalised service. I always feel more special than at big name chains. 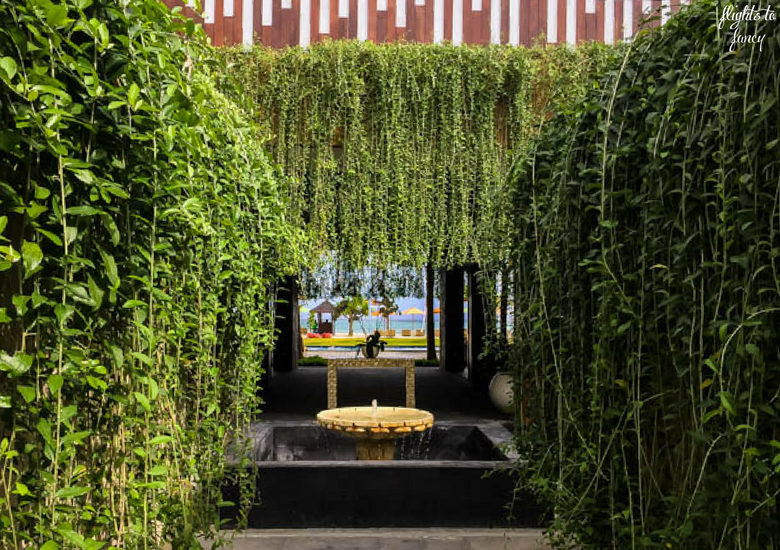 D’Nusa Beach Club looks amazing and your room was stunning, not jealous at all! I’m sure that swing was very popular and busy too with instagrammers! That’s so true Lisa! We felt very special at d’Nusa ? We spent quite a few hours swimming in the pool and the best part we never had to share it with any other guests! Balinese hotels have so much charm… This one looks really nice, I was particularly inspired by the picture of the terrace under the pergola with the view to the turquoise sea… I have been to Bali and spent a few hours exploring Nusa Lembongan, maybe next time I should consider staying there! They sure do Julian! I love that peek a boo picture too. The sea certainly draws you towards it ? Looks like an incredibly relaxing place to stay! That pool is incredible, and those beach swings look like so much fun. Definitely more laid back than what I would expect Bali to be like! The beach swings were great but I’m just a big kid so I’m easy to please ? The resort looks amazing. 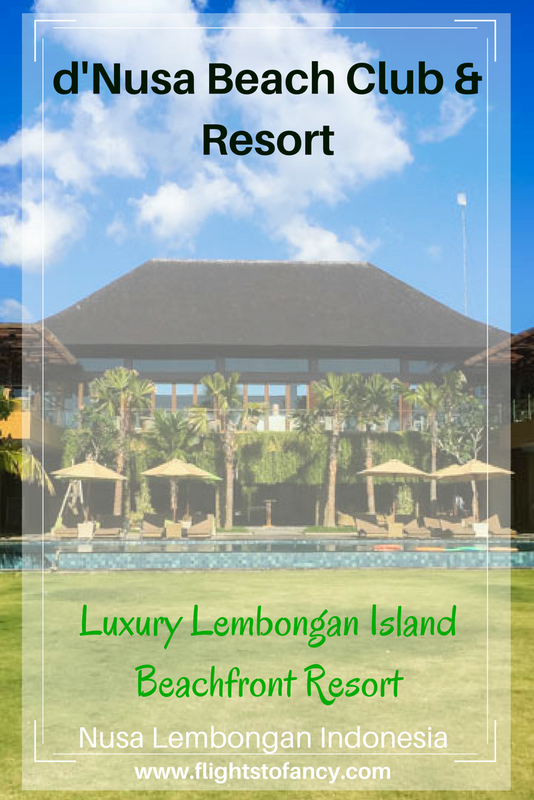 I too stayed at Lembongan at another hotel. This, however, seems to access a better beach! Moreover, the cruise from Bali to Lembongan in itself is memorable. We had a few dolphins accompanying us on our way there! Flat amazing! How cool Sreekar! I didn’t see any dolphins more the pity ? It’s a whole different world from Bali Siddhartha. 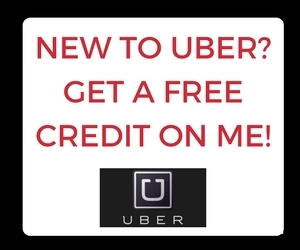 You definitely should check it out if you get a chance! Love those two pools. Good to know there are some luxury options here as I dived out there. The diving was spectacular with some great drifts and plenty of sealife but I did not think there was much in the way of accommodation. That said it has been more than 15 years since I went so things change. It was the perfect luxury choice for us Anne. I bet you have some great experiences diving there! Hahaha the lobby soundtrack haunts me! The pool design was brilliant and having it all to ourselves was perfect! This looks like a lovely resort and I did enjoy reading through your review. 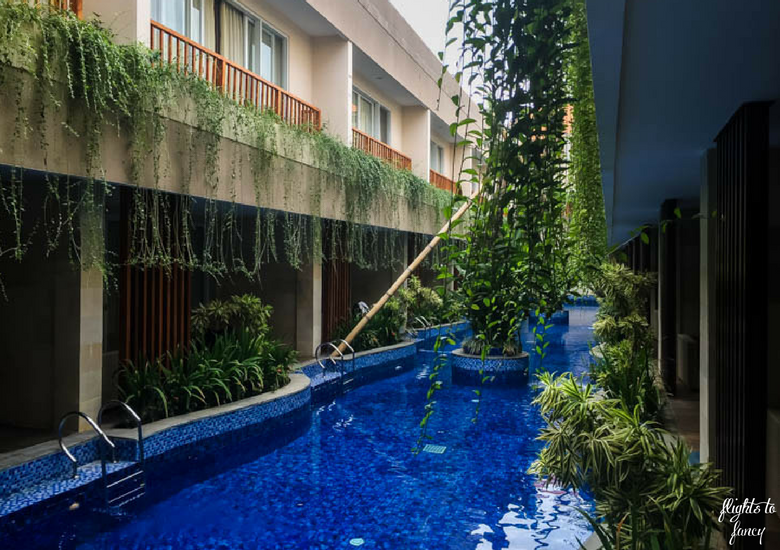 While every place has it’s downsides, this resort still looks like a great choice just for unwinding from the otherwise hectic life most of us have these days. Love the proximity to the beach and the fact that it looked quite deserted. An ideal spot. The good far outweighed any small niggles and I would have no hesitation going back.